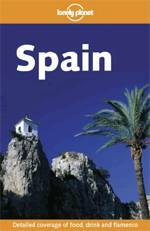 There are a number of guide books available for Spain, all of which contain some great information. Here are some reviews of the main books, and links to buy them from Amazon.co.uk. One of the most striking things about Spain is its great regional diversity--landscape, food, art and even language can differ massively from one area of the country to the next. This presents a real challenge to the guidebook writer who is effectively dealing with Espanas (Spains) rather than a single Espana. 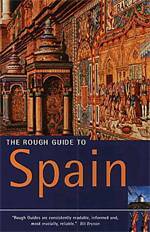 The enormous army of Rough Guide devotees will not be surprised to learn that the authors of the Rough Guide to Spain rise competently to the challenge--now in its 10th edition this Rough Guide is a clear, informative and reliable guidebook to a magnificently varied country. Broken down into regions (including the Balearics) with an unambiguous design and more than 90 maps, the Rough Guide to Spain is extremely user-friendly. This guide to Spain aims to show the traveller how to see as much as they want on a reasonable budget. It includes climate charts, information on outdoor activities, restaurants and accommodation as well as a highlights section to help readers decide where Best to go to suit their interests. Whether you're keen to sip sangria on a palm-lined Balearic beach or snow-ski down the Sierra Nevada, this practical guide will show you why Spain is a número uno destination. 147 detailed maps, including colour maps of Madrid and Barcelona, the Best places to stay, eat and drink for all budgets and tastes, insiders' tips on where to trek, ski, canoe, cycle, surf ... and dance, detailed sections on architecture, bullfighting and the Camino de Santiago pilgrims' route and an invaluable language guide to Castilian, Basque, Catalan and Galician Spanish. There are many other regional guides available on Amazon.co.uk.